The number of Americans practicing yoga is at an all time high. In a recent national health survey “approximately 21 million Americans were noted to practice yoga during the past year” 1. The reasons people cited for participating in yoga were increasing energy, enhancing immune function, and health and disease prevention 1. So is this increased popularity of yoga just a fad or is there some truth to be found in why so many people are starting to appreciate this ancient form of movement and mind-body connection? To determine scientific backing and validity, yoga research has significantly increased since 2000 and has surged since 2007, to include a significant number of randomized controlled trials 1. As more pregnant women in the U.S. continue to question the highly interventional, over-medicalized, technocratic model of obstetrics care, more women are turning to more whole-person focused care like yoga for self-care before, during, and after pregnancy. Trending with the popularity of prenatal yoga is a focus on evaluating safety for the mother and the fetus. In one study, the monitoring of maternal and fetal heart rates showed no change in pregnant women’s heart rate or temperature or fetal heart rate and there were no falls or injuries. None of the participants reported fetal movement changes, contractions, or vaginal bleeding, thus ensuring the safety of prenatal yoga even as late as 38 weeks gestation. 2. The beneficial effects of yoga, while many mothers over the centuries have likely well appreciated, are now starting to emerge in science. Data reports in pregnancy show lower incidence of prenatal disorders 3, lower levels of pain and stress for mom 3, 4, lower sleep disturbances 7, higher relationship scores 3, greater gestational age offspring 3, 4, and reduced anxiety and depression 5, 6, 7. Even a single session of yoga has been noted to decrease state anxiety as well as cortisol levels in depressed pregnant women 8. Yoga has even shown to be a more effective exercise than walking or standard prenatal exercises in terms of fetal growth measures 9. One recent study focused on mindfulness based cognitive therapies for perinatal depression (MBCT-PD) and incorporated sitting meditation, yoga practice, and breath focused meditation. Findings support “MBCT-PD as a viable non-pharmacological approach to preventing depressive relapse and recurrence among pregnant women with histories of depression” 10. Such results extended through 6 months postpartum. 10 Additional studies confirm clinically significant decreases in postpartum depression and anxiety as well 11, 12. While more research is needed to further and deeper explore effects of yoga on mother and baby during and after pregnancy, current research has already started to show yoga’s beneficial effects. The path for yoga to become a widespread best-care practice in prenatal and postpartum preventive and rehabilitative care may not be far off. To learn how you can find health care practitioners who incorporate evidence based practice using medical therapeutic yoga, go to Professional Yoga Therapy Institute’s “Find a therapist directory”. 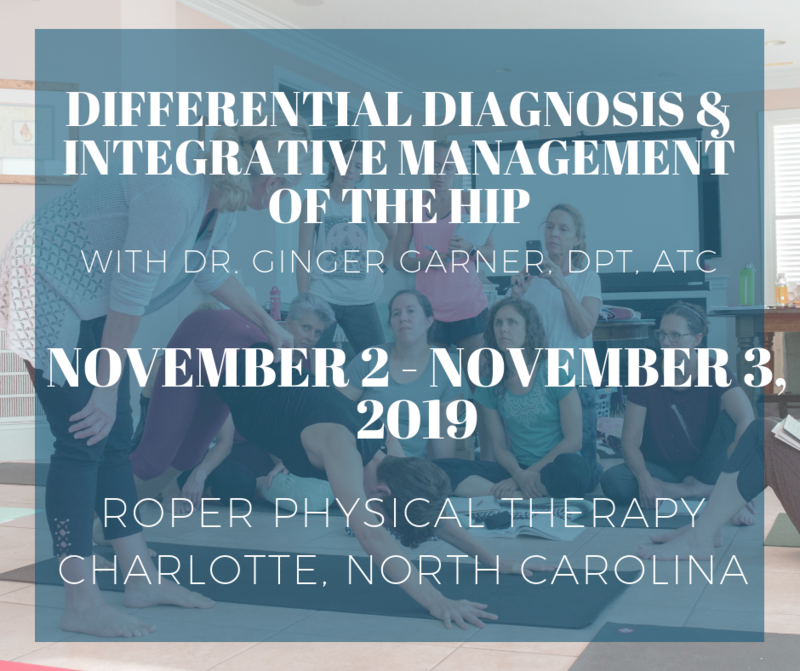 To learn first hand how to incorporate yoga as medicine for pregnancy and postpartum, check out upcoming course offerings by Dr. Ginger Garner, specifically “Yoga as Medicine for Labor, Delivery, and Postpartum”. T. Field. Yoga research review. Complement Ther Clin Pract. (2016) 145-161. Epub 2016 Jun 16. R.L. Polis, D. Gussman, Y.H. Kuo, Yoga in pregnancy: an examination and fetal responses to 26 yoga postures, Obstet. Gynecol. 126 (2015) 1237-1241. Q. Jiang, Z. Wu, L. Zhou, J. Dunlop, P. Chen, Effects of yoga intervention during pregnancy: a review for current status, Am. J. Perinatol. 32 (2015) 503-514. T. Field, M. Diego, Maria Hernandez-Reif, L. Medina, J. Delgado, A. Hernandez, Yoga and massage therapy reduce prenatal depression and prematurity, J. Bodyw. Mov. Ther. 16 (2012) 204-209. K.M. Sheffield, C.L. Woods-Giscombe, Efficacy, feasibility, and acceptability of perinatal yoga on women’s mental health and well-being: a systematic literature review, J. Holist. Nurs. (2015) (Epub ahead of print). H. Gong, C. Ni, X. Shen, T. Wu, C. Jiang, Yoga for prenatal depression: a systematic review and meta-analysis, BMC Psychiatry 15 (2015) 14. T. Field, M. Diego, J. Delgado, L. Medina, Tai chi/yoga reduces prenatal depression, anxiety and sleep disturbances, Complement. Ther. Clin. Pract. 19 (2013) 6-10. J.J. Newham, A. Wittkowski, J. Hurley, J.D. Aplin, M. Westwood, Effects of antenatal yoga on maternal anxiety and depression: a randomized controlled trial, Depress Anxiety 31 (2014) 631-640. A. Rakhshani, R. Nagarathna, A. Mhaskar, A. Thomas, S. Gunasheela, Effects of yoga on utero-fetal-placental circulation in high-risk pregnancy: a randomized controlled trial, Adv. Prev. Med. (2015) (Epub ahead of print). S. Dimidjian. et. al. Staying well during pregnancy and the postpartum: A pilot randomized trial of mindfulness-based cognitive therapy for the prevention of depressive relapse/ recurrence. Journal of Consulting and Clinical Psychology. (2016) 134-145. M.M. Buttner, R.L. Brock, M.W. O’Hara, S. Stuart, Efficacy of yoga for depressed postpartum women: a randomized controlled trial, Complement. Ther. Clin. Pract. 21 (2015) 94-100. S. Bershadsky, L. Trumpfheller, H.B. Kimble, D. Pipaloff, I.S. Yim, The effect of prenatal Hatha yoga on affect, cortisol and depressive symptoms, Complement. Ther. Clin. Pract. 20 (2014) 106-113. Thanks for this amazing article. The insights helped me sort out a lot. Made notes and shall be using the tips right away!